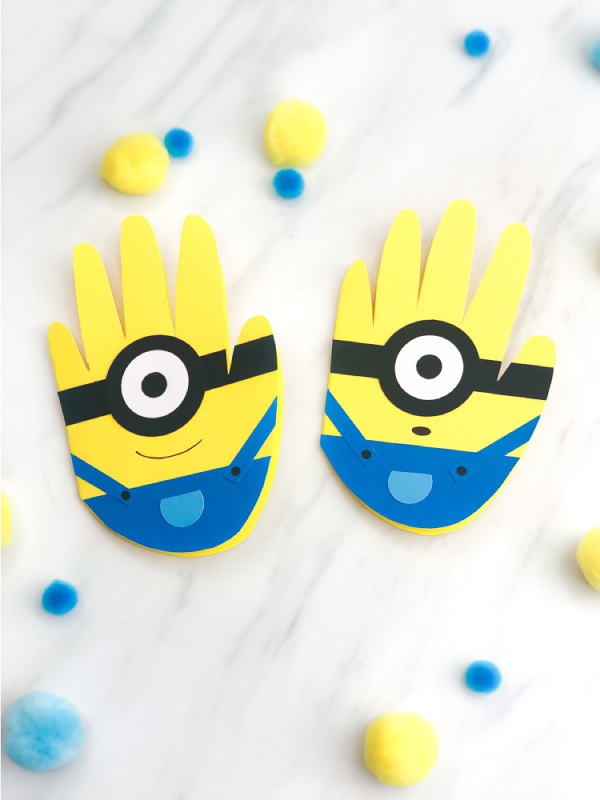 Inside: Make this handprint minion card craft for Father’s Day or any special occasion! 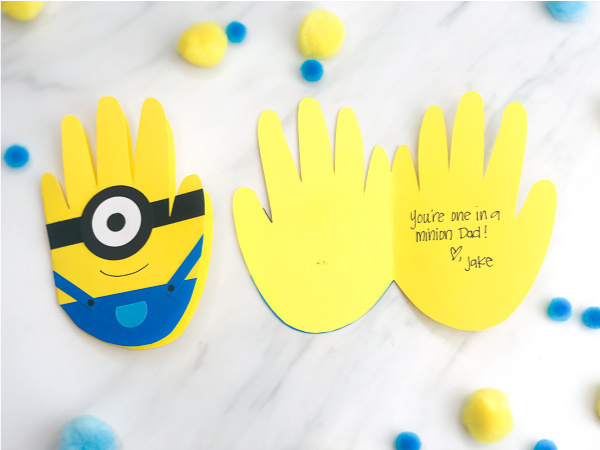 We’ve recently discovered that one of our favorite ways to celebrate Mother’s Day or Father’s Day is by making a homemade card. There’s nothing more sentimental to Mom and Dad then a DIY card, plus it’s fun for the child to make! So far we’e made this free printable Star Wars card and this easy lion card craft for Father’s Day. 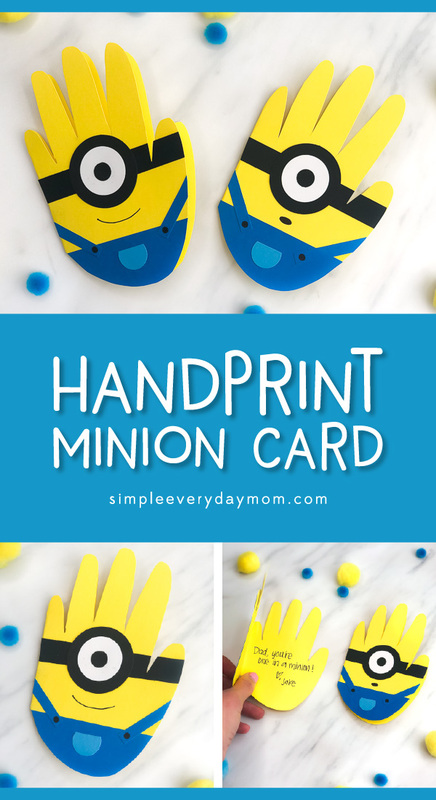 Today we’re showing you how to turn your child’s handprint into a cute minion card! Fold a piece of yellow card stock in half with the fold line on the left side. Trace your child’s left hand on the paper, with the pinky along the fold line. Cut the handprint out, leaving the fold line in tact along the pinky. Use the 1.5″ and .25″ punch to cut out two circles from the black card stock. 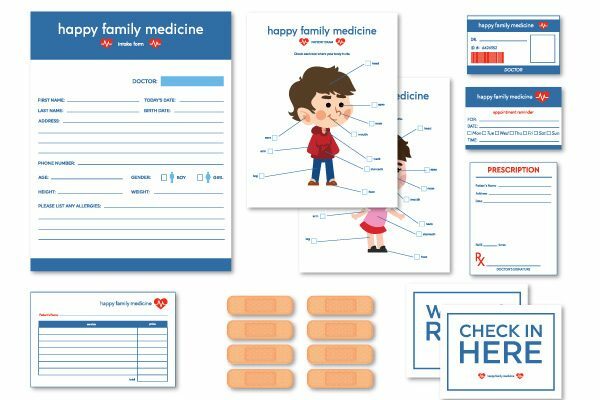 Use the 1″ circle punch to cut out one circle from the white card stock. 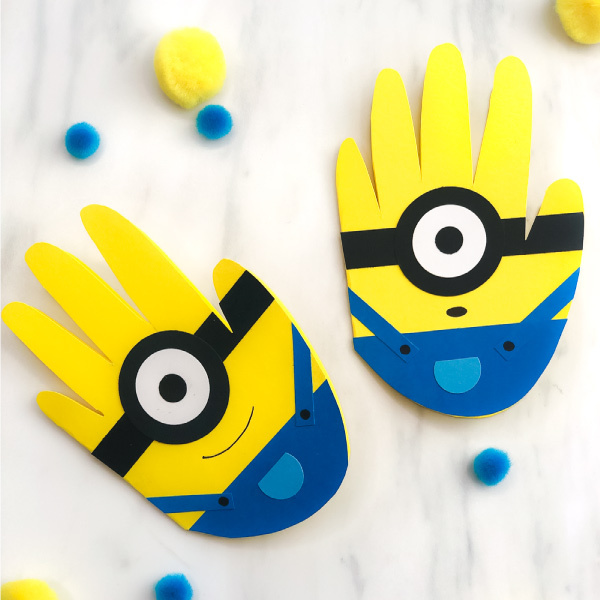 Using the scissors or a paper trimmer, cut out two rectangles about .5″ wide and as long as you need to extend to the outside of your child’s handprint (mine were each about 1.5″ long). Glue the .25″ black circle to the middle of the 1″ white circle, then glue both to the middle of the 1.5″ black circle. This will be the minion’s eye. Glue the black rectangles behind the minion eye to create the goggles. 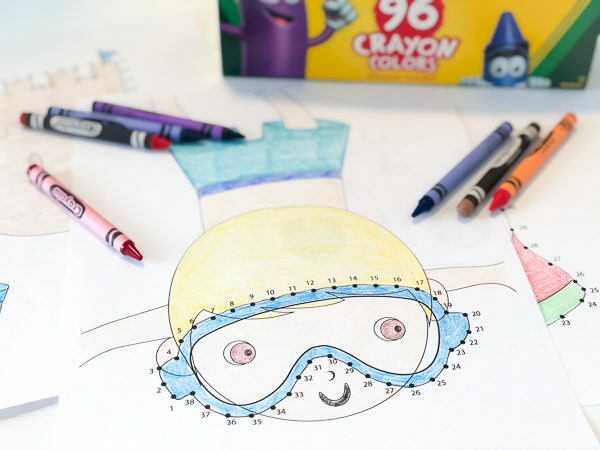 Center the entire eye and goggle piece just below the fingers on your child’s handprint and glue in place. If it extends between the fingers, use scissors to trim the excess. 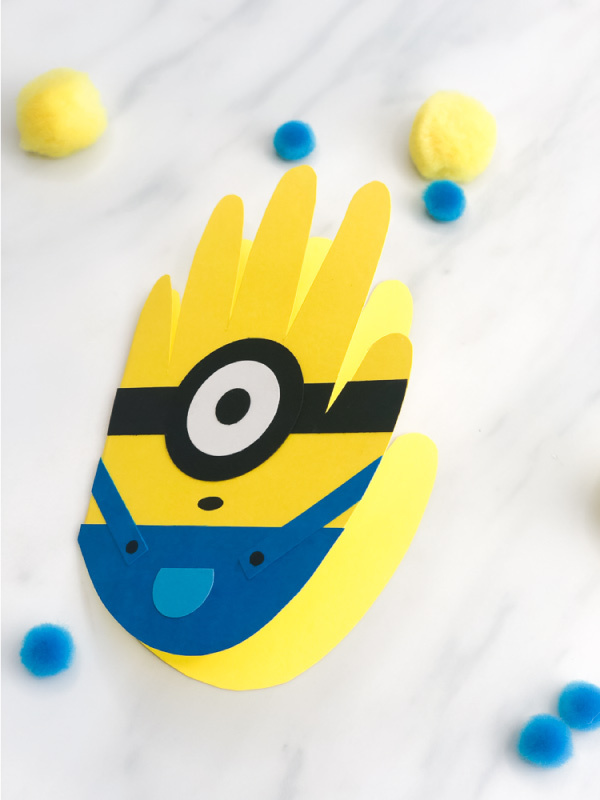 Cut out a square from the bright blue paper that’s large enough to cover the bottom of your child’s handprint. Glue to the bottom of the handprint, then cut the excess off. 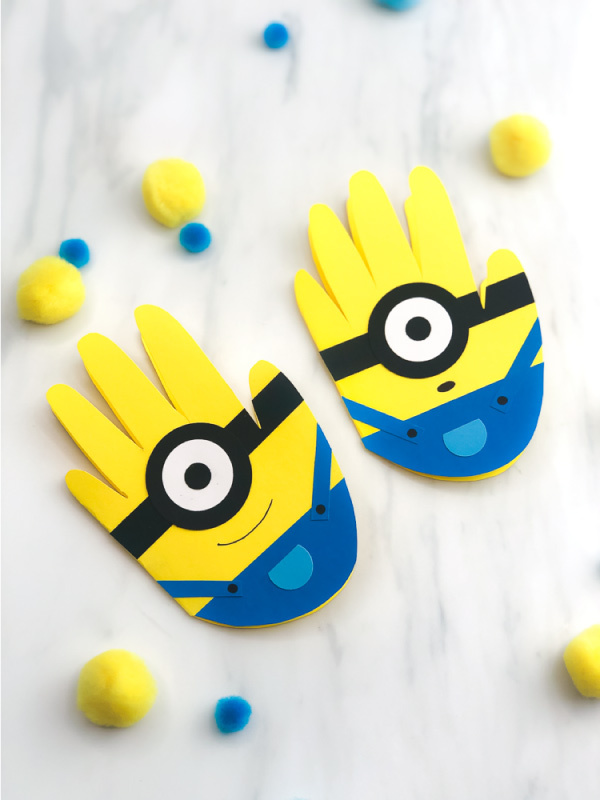 Cut two long and skinny rectangles from the bright blue paper to serve as the minion’s overall straps. 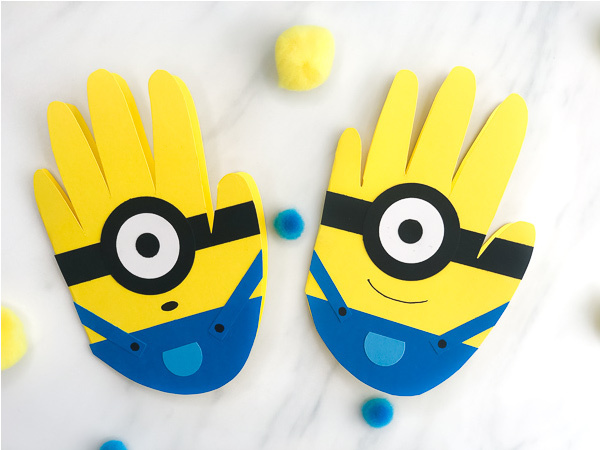 Position them on an angle to the bottom of the handprint and glue into place. Cut off the excess that extends off the handprint. Use the black marker to draw on the overall snaps. Using the .5″ circle punch, cut out a circle from the light blue paper. Use the scissors to cut off the top quarter of the circle. Glue this piece in the middle of the overalls. Use the black marker to draw a mouth on the minion. Open up and write a special message! 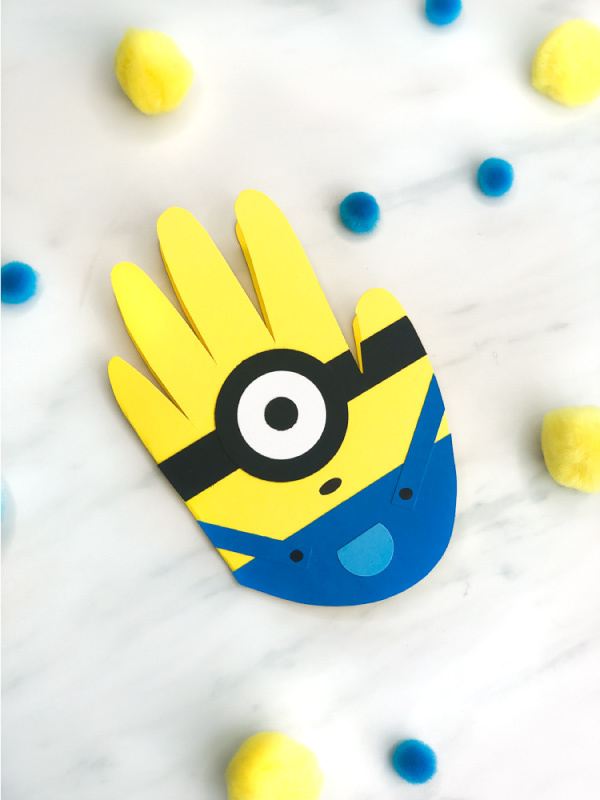 The directions sound a little involved, but once you see the video of this handprint craft, you realize it’s a simple craft. It’s especially easy if you have circle punches, but don’t let that discourage you if you don’t own any. You can also cut the circles out by hand. 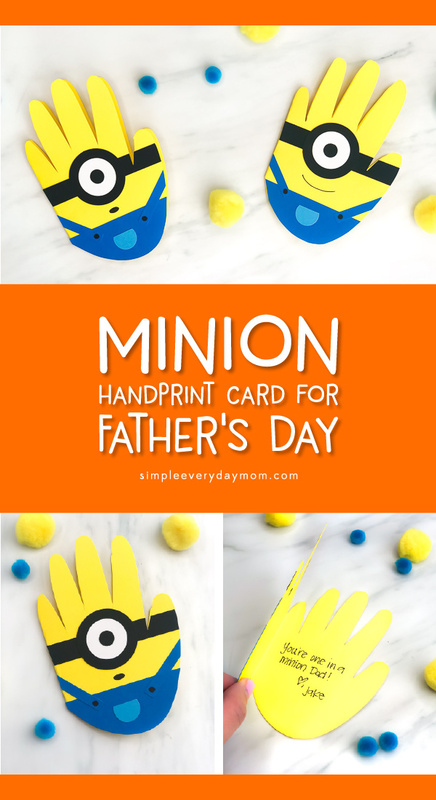 We made this minion card craft specifically for Father’s Day, but you can use it for any time you’d like!